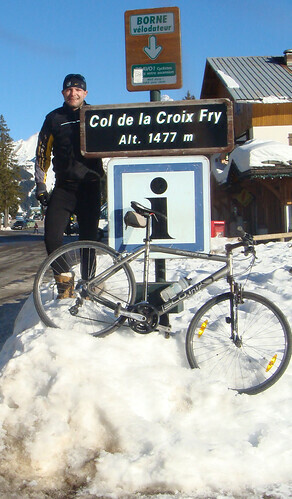 I have already cycled Col de la Croix Fry in 2009, I had told Eric so many times what a great early spring climb it is - that he wanted to have a look. 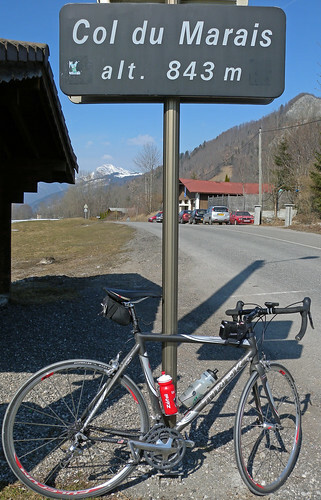 I have already done Col de la Croix Fry in 2009 (via the superb Col de Plan-Bois), I had told Eric so many times what a great early spring climb it is – that he wanted to have a look. 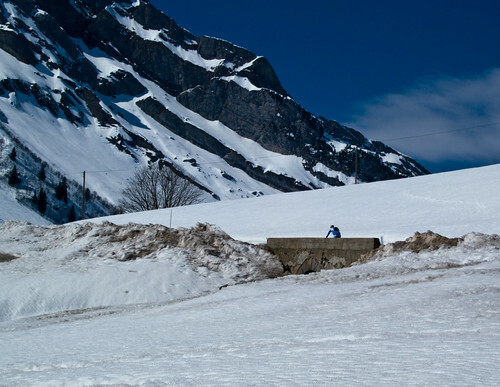 It’s south-west facing road is almost always dry in winter and the entire route is surrounded by mountains including the impressive l’Etale and Tournette peaks. A new 80 km loop though (map and elevation chart at bottom of page). I started in St Jean de Sixt (my super domestique Eric of course from Geneva!! 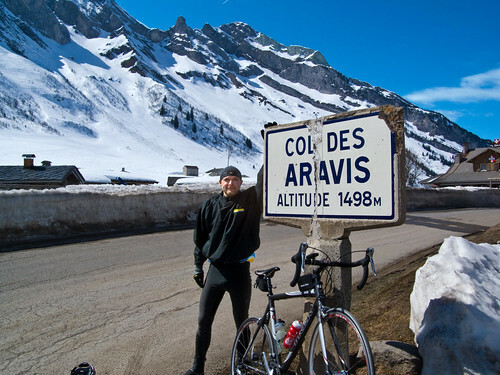 ), and we first climbed Col des Aravis. Lots of fairly big snow walls today, the road was fine – if a bit bumpy on the descent. Next we descended down to Flumet and then turned right for a beautiful and fast descent down the cliff-sided Gorges de l’Arly to Ugine. 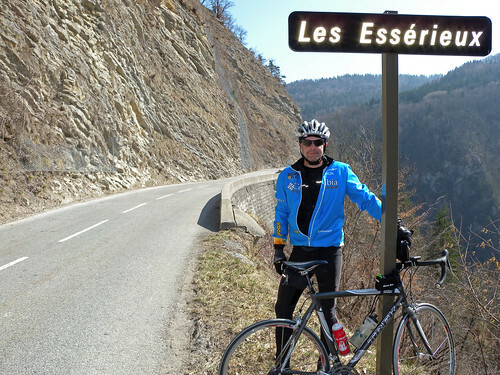 At Ugine, we were able to join the Albertville – Anncey bike path almost until Saint Ferréol. Here, the road goes up again for about 400 metres of climb on a wonderful, winding, cliff road. First passing Col des Essérrieux and then Col du Marais, before a hair-raising descent to the start of Col de la Croix Fry. I was feeling pretty cooked and knew I would struggle up this sometimes steep so beautiful climb. And struggle I did! 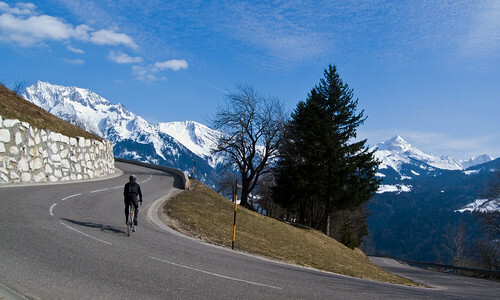 Recently stayed in La Clusaz, and did a similar ride, but going over the easy side of the Col des Saises as an extra loop from Flumet. After 100km the Col de la Croix Fry is an absolute leg breaker. Super steep for about 3km after Manigod but, as you say, it is a beautiful climb.